The toll from the deadliest and most destructive wildfire in California’s history rose further on Sunday to 77, the sheriff’s office said. 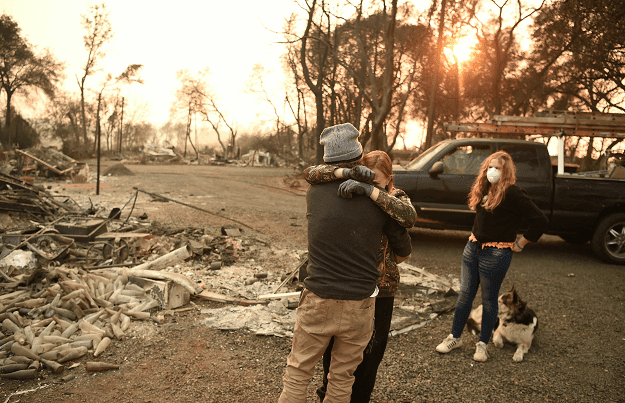 “One human remain was located today,” raising the toll by one in the so-called Camp Fire which broke out 10 days ago in northern California, a statement from the Butte County Sheriff said. The number of people unaccounted for has fallen to 993, down from a peak of more than 1,200, the statement added. More than 10,000 homes have been destroyed in the blaze which has devoured an area roughly the size of Chicago, and essentially wiped the community of Paradise off the map. US President Donald Trump surveyed the remains of Paradise during a visit on Saturday, and also toured the damage from another fire further south in Malibu, where three people died.